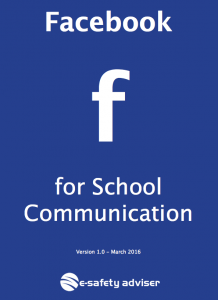 Using Facebook in School - a complete guide for parental engagement. Social media can be a fantastic way for schools to communicate with the wider community, particularly those hard-to-reach parents. Granted it isn’t for everyone; there seems to be a never-ending stream of ‘bad social media news’ without balancing the extraordinary amount of potential for good that social media grants us. Please Note: Facebook tends to update their app quite frequently meaning things can change without notice. What is a Facebook Page and Group? Scheduling posts within Facebook and using other free tools. Example letter to send out to parents. Keeping up with the ever-changing world of online safety. A unique 1-day course for your online safety lead, including training for all your teaching and support staff, and your governors plus a new video every half term to keep everyone up to date.